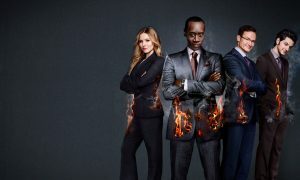 When Kaan & Associates is in need of guidance after Marty’s (series star and executive producer Don Cheadle) incarceration leaves the firm in shambles, tough white knight investor (guest star Mary McCormack) knows just who to call. 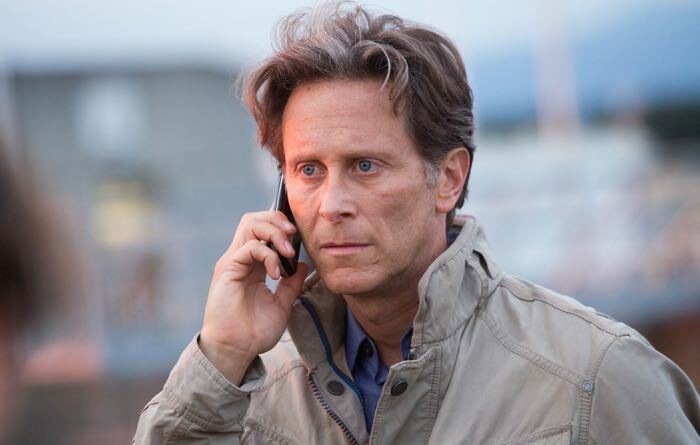 Noted actor Steven Weber guest stars in one episode of the new season of HOUSE OF LIES as Ray Montinola, a turnaround specialist who jumps in to assist Marty and the Pod, but Marty has different ideas for the so-called savior. Weber joins previously announced guest stars Valorie Curry, Demetri Martin, Fred Melamed, Jenny Slate, Larenz Tate and Alicia Witt. 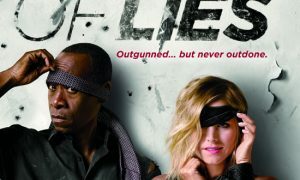 HOUSE OF LIES will premiere Sunday, January 11th at 10 p.m. ET/PT opposite the new seasons of SHAMELESS (9 p.m.) and EPISODES (10:30 p.m.). Steven Weber soared to national attention in the hit comedy series Wings in which he co-starred with Tim Daly for seven years. He made his film debut in The Flamingo Kid and appeared in the war film Hamburger Hill. He also appeared on the daytime drama As the World Turns and made his Broadway debut in The Real Thing. 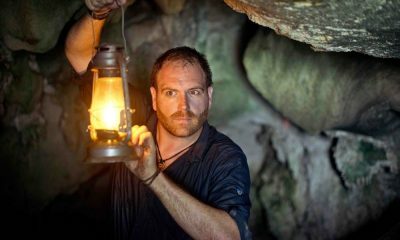 Weber’s acting career has been as eclectic as it is accomplished – whether starring in the television version of Stephen King’s horror story, The Shining, or appearing as JFK in The Kennedy’s of Massachusetts. His films include roles in thrillers Single White Female and The Temp, as the title in the gay romantic comedy Jeffrey and as a sleazy 1930s pimp in the SHOWTIME comic musical Reefer Madness. On stage, Weber has played the lead in the hit Broadway musical The Producers; appeared with Kevin Spacey and Mary Stuart Masterson in the London production of National Anthems; and again on Broadway in The Philanthropist. 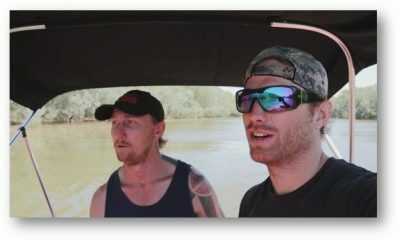 Most recently, Weber has starred on NCIS: New Orleans and on the ABC Family original drama series Chasing Life, and had recurring roles on TNT’s series Murder in the First and Dallas. Other credits include The Comedians, Bad Teacher, Dallas, 2 Broke Girls, Wilfred, Hot in Cleveland, Falling Skies, Law & Order: Criminal Intent, and Parenthood. HOUSE OF LIES is the hit half-hour comedy series from the hit tell-all book House of Lies: How Management Consultants Steal Your Watch and Tell You the Time by Martin Kihn. HOUSE OF LIES stars Cheadle (Iron Man 3) in his three-time Emmy®-nominated and Golden Globe®-winning performance. Kristen Bell (Frozen, Veronica Mars) plays his razor-sharp partner, along with Emmy winner Ben Schwartz (This is Where I Leave You); Josh Lawson (Anchorman 2: The Legend Continues); Emmy winner Glynn Turman (In Treatment); and Donis Leonard Jr. (Criminal Minds). We last left a despondent Marty alone in the desert after a cataclysmic double-cross by Jeannie (Bell) and a visit by the Feds. This season, Marty’s brief stint in white collar prison left Jeannie to pick up the pieces of the now tainted Kaan & Associates with Clyde (Schwartz) and Doug (Lawson). Client flight decimated the bottom line, but Marty is a singular focus: winning, at any and all cost. Larenz Tate (Rush) returns as Marty’s brother Malcolm and Jenny Slate (Obvious Child) as Doug’s wife Sarah, along with new guest stars Demetri Martin (Important Things with Demetri Martin), Mary McCormack (In Plain Sight), Fred Melamed (Benched) and Valorie Curry (The Following). Produced by SHOWTIME, HOUSE OF LIES is created and executive produced by Matthew Carnahan. Jessika Borsiczky, Don Cheadle and David Walpert return as executive producers for season four.